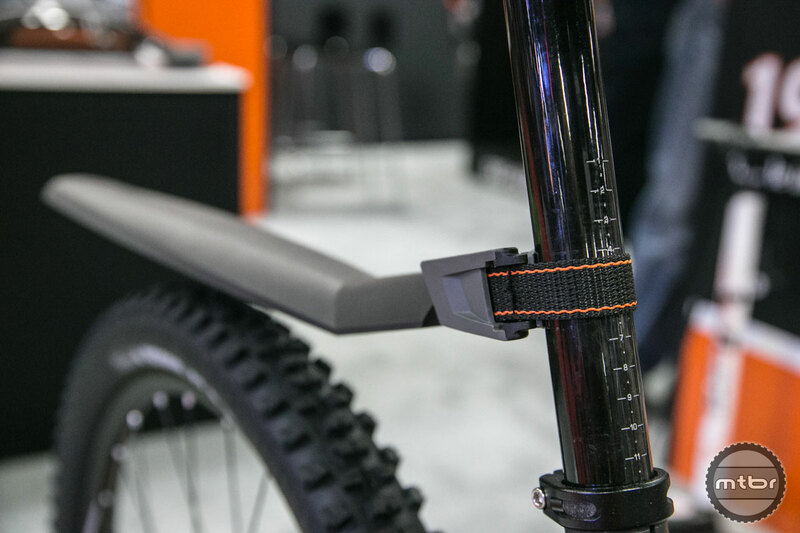 Winter is coming and SKS has ramped up its collection of quick-mount fenders to include options for both fat and plus bikes. 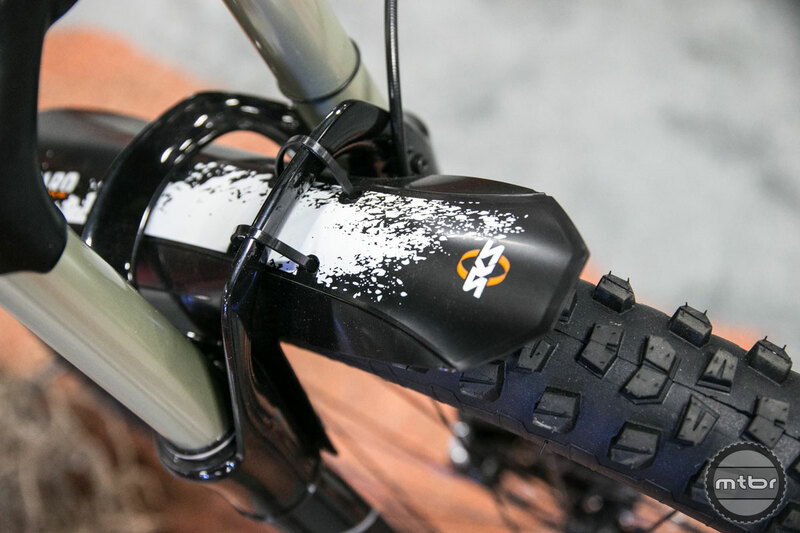 SKS Sales Manager Crystal Trout walks us through their new fat, plus, and bikepacking solutions. 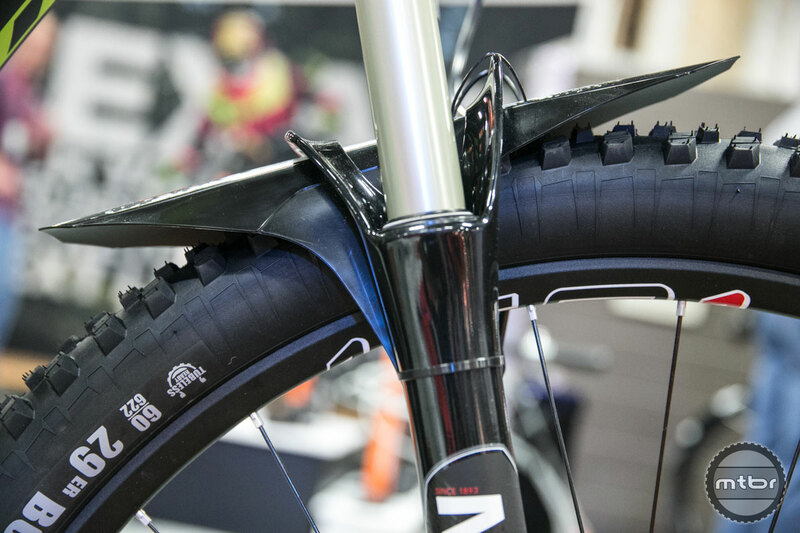 The big story for SKS this year is a plethora of new fat and plus bike fenders, which mount easily via a velcro system. 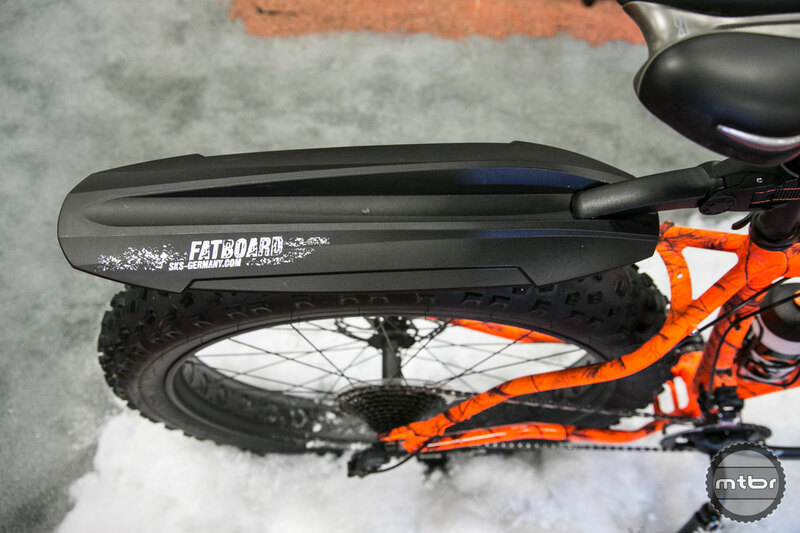 The Fatboard is specific to fat bikes. 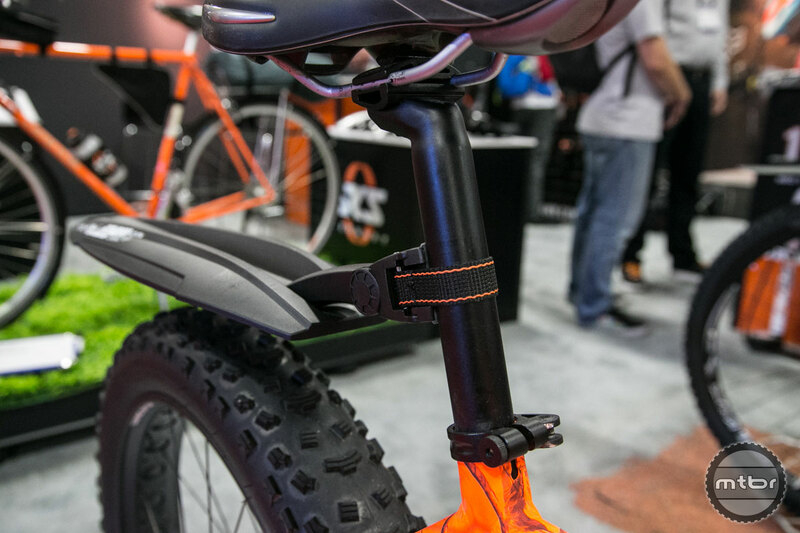 The front guard mounts to the downtube, while the rear fender mounts on the seat tube or seat post and has adjustable angles. Retail is $55. 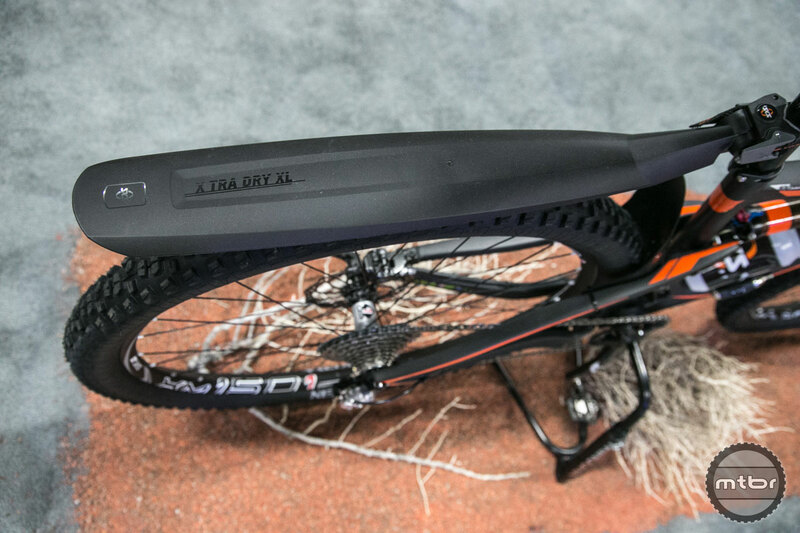 SKS also has a version for plus size bikes called the X-Tra-Dry XL which go up to a 3.5” tire. 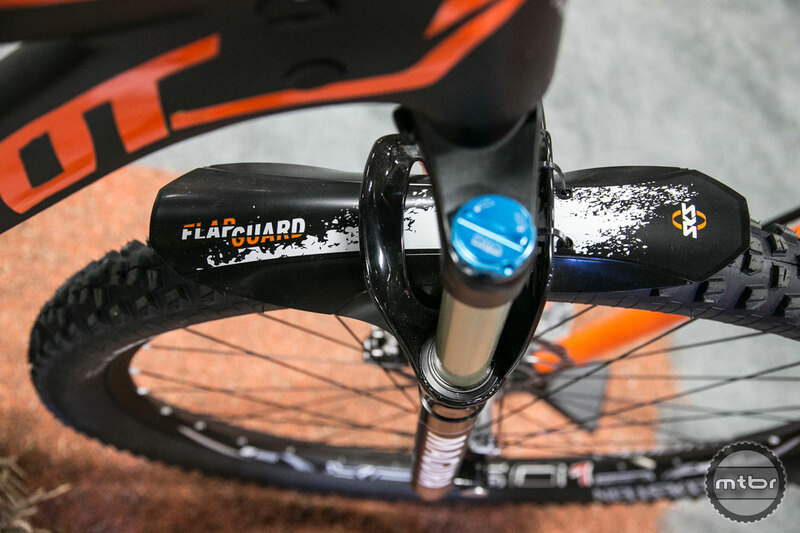 SKS also has a Flapgaurd fender, which is mounted via zip ties and can be used either to protect your face or shock. 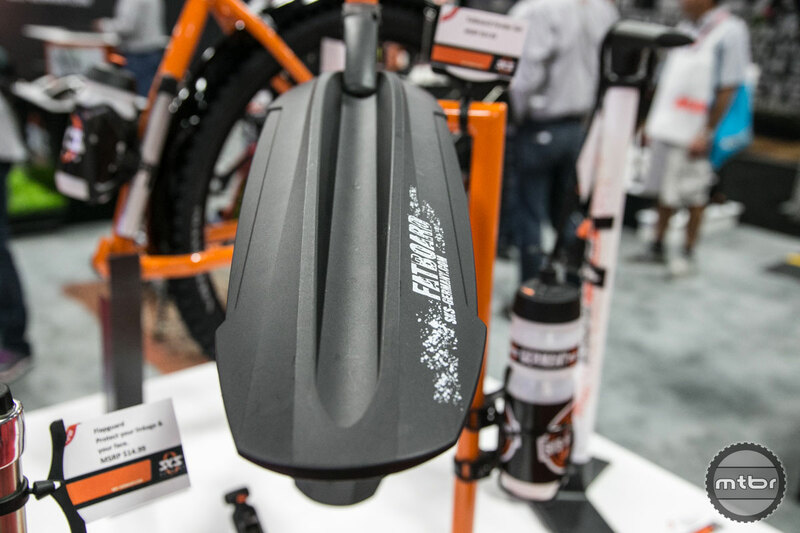 Bikepacking season may be coming to a close, but the brand also has a number of triangle and energy bags that mount quickly via velcro and offer lots of carrying capacity. The classic, now also in XL! 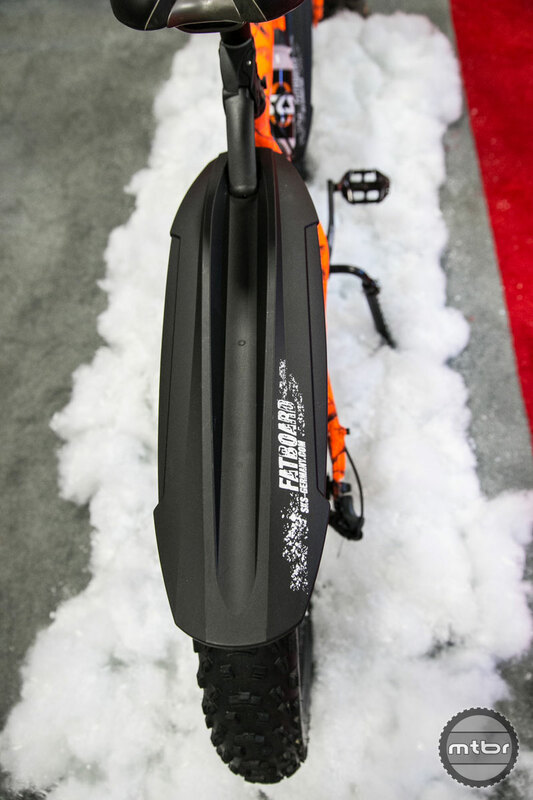 The X-Tra-Dry XL is the big brothers of the successful X-Tra-Dry models and can handle even large wheel diameters through a raised splash guard. 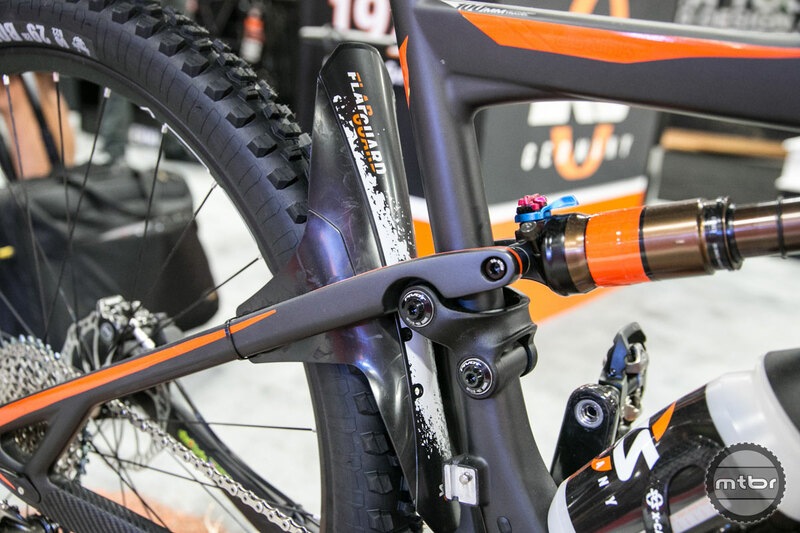 It features quick-release fasteners for the steerer tube and the seat post. 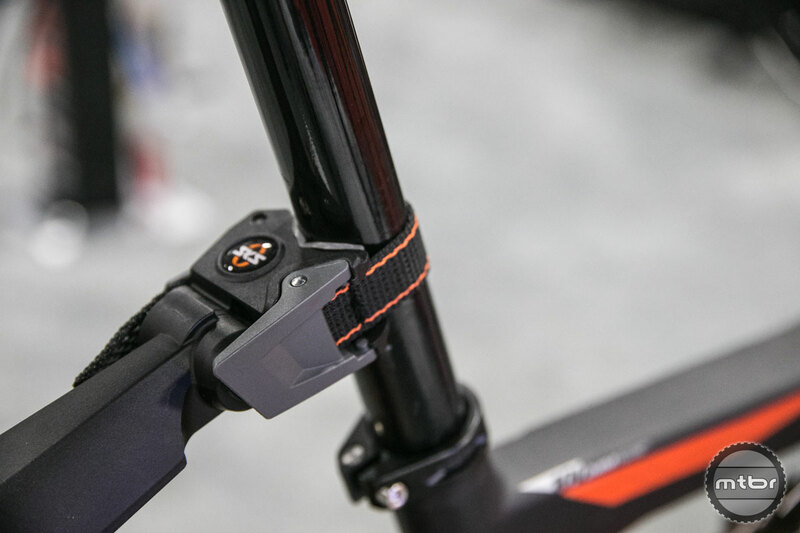 The X-Tra-Dry XL also has an angle joint that can be easily set. 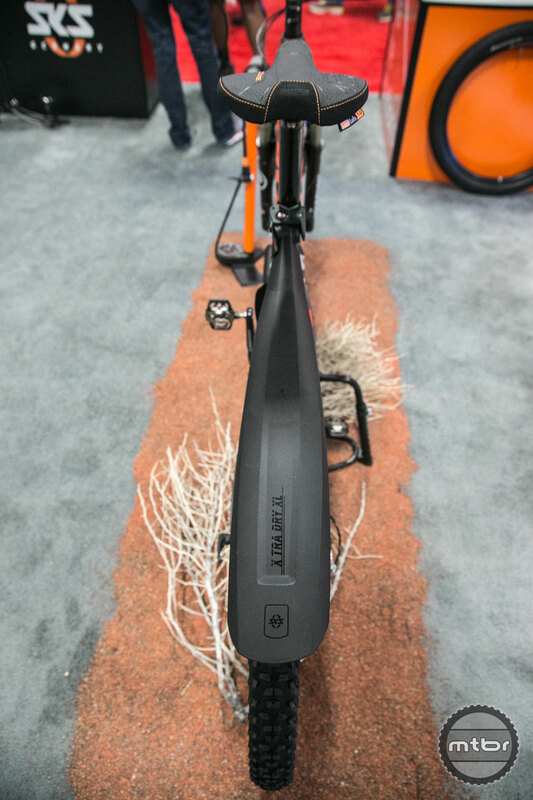 X-Tra-Dry XL offers 80mm more profile length than original fender. 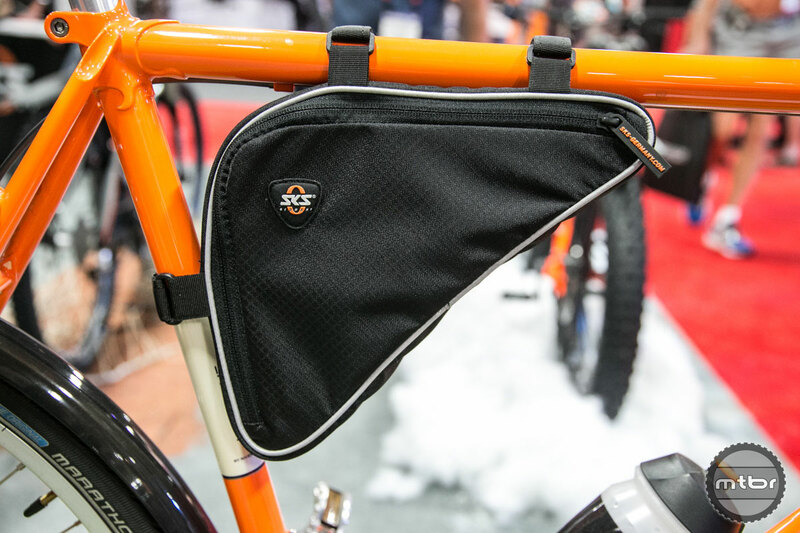 Triangular frame bag made of sturdy material offers space for tools and spare inner tubes. 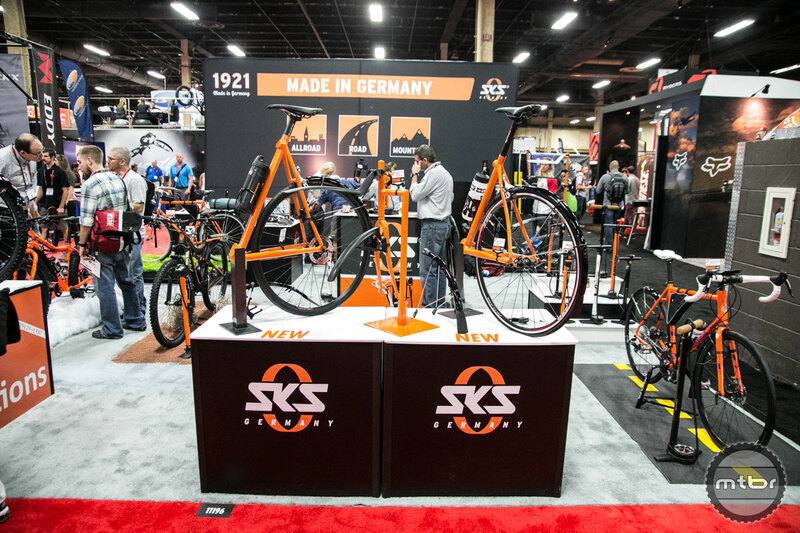 It is safely secured to all kinds of bike frames with its three Velcro strap attachments and the flexible reinforcements. All-round reflective strips. 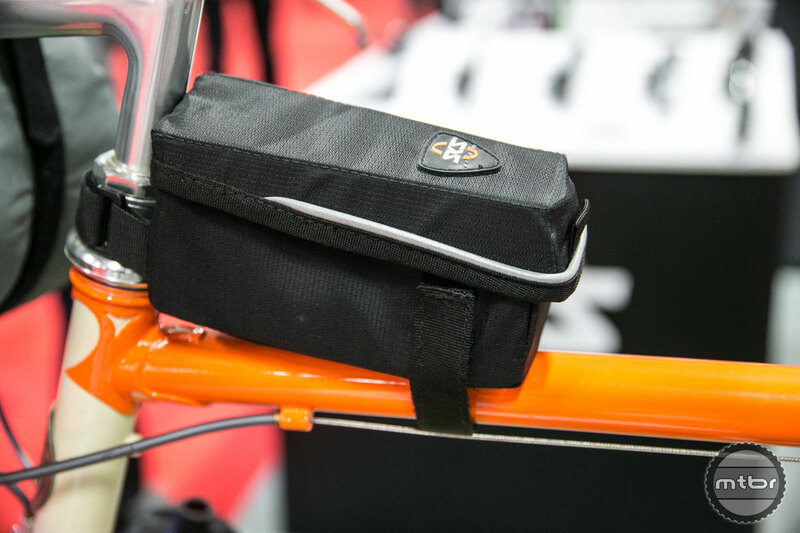 The Energy bag is the easiest and super-quick way to carry your energy bars, money, phone or keys on your bike. 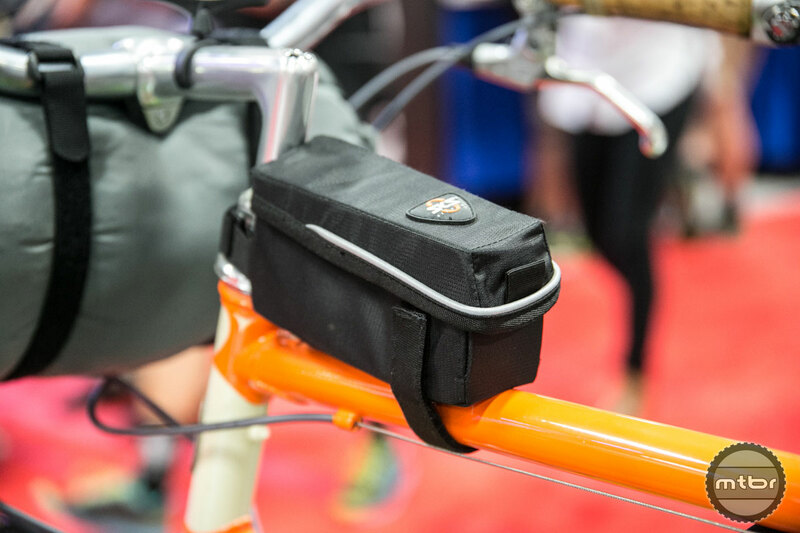 The small bag sits within arms reach on the front top tube, secured with Velcro attachments. Thus you can e.g. 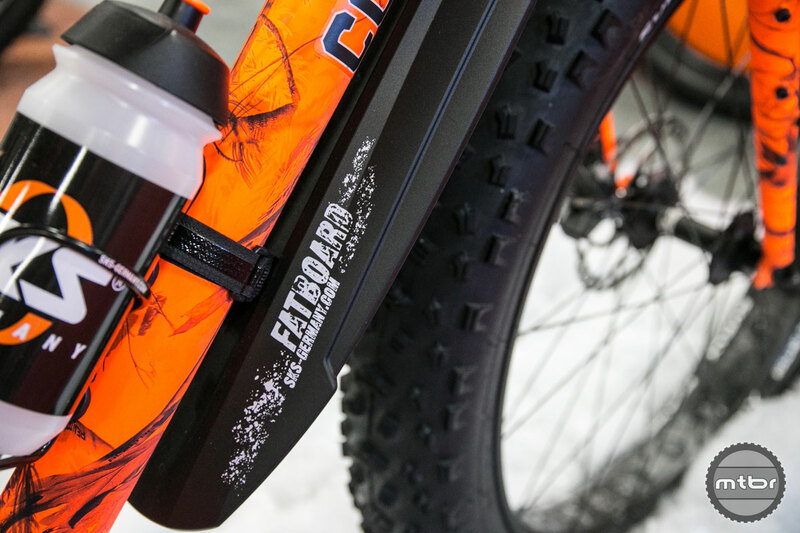 easily fuel up on energy bars while still riding. The bag lid protects the contents from the elements. 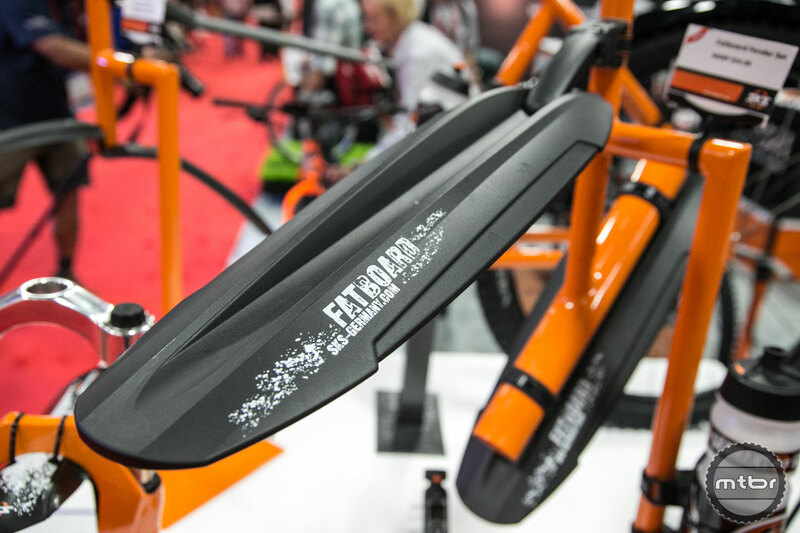 Reflective details guarantee improved visibility in low light condition.